Almost two years ago ecoartspace invited Matthew Mazzotta to Springfield, Missouri to propose a public art installation for Farmers Park, a LEED certified multi-use development. 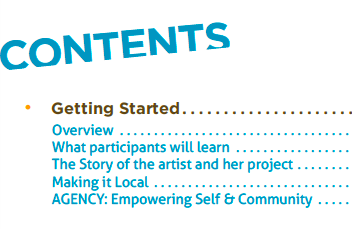 After meeting with the local community during a public living room conversation, the artists' format for gathering information to conceptualize his projects, Mazzotta went back to the drawing board. He came up with several ideas which he then presented to the owner of the development while in residence on the property spring 2015. 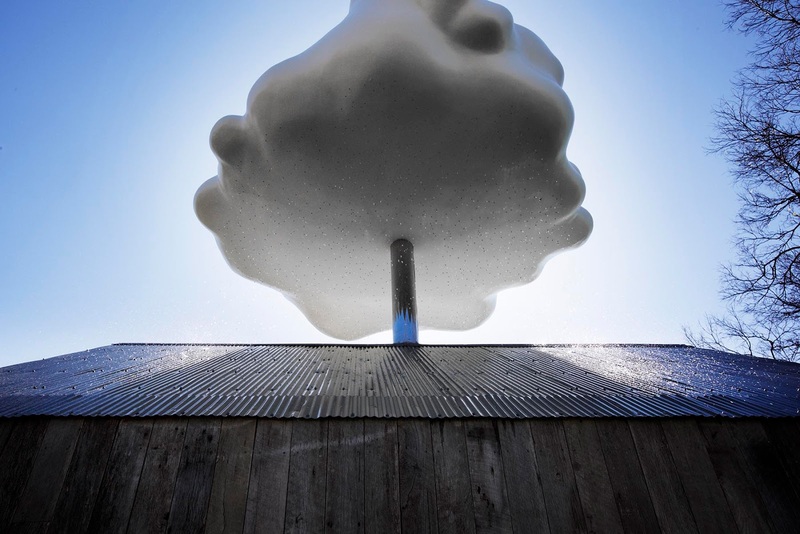 By the end of June, there was consensus to green light the construction of the permanent public artwork that is titled Cloud House. 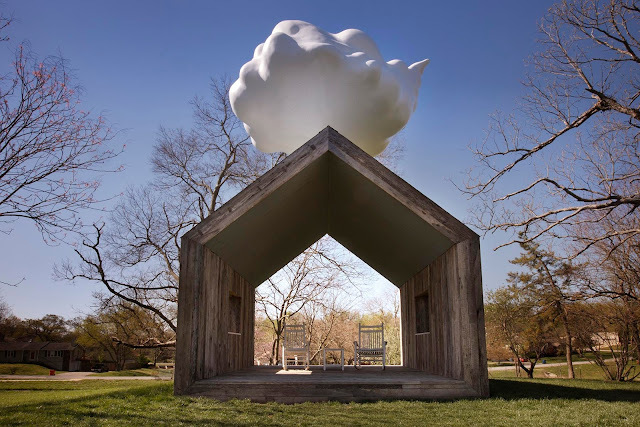 Cloud House is an iconic 'House' clad with barn wood, a tin roof, and a 'Cloud' suspended directly above the structure. 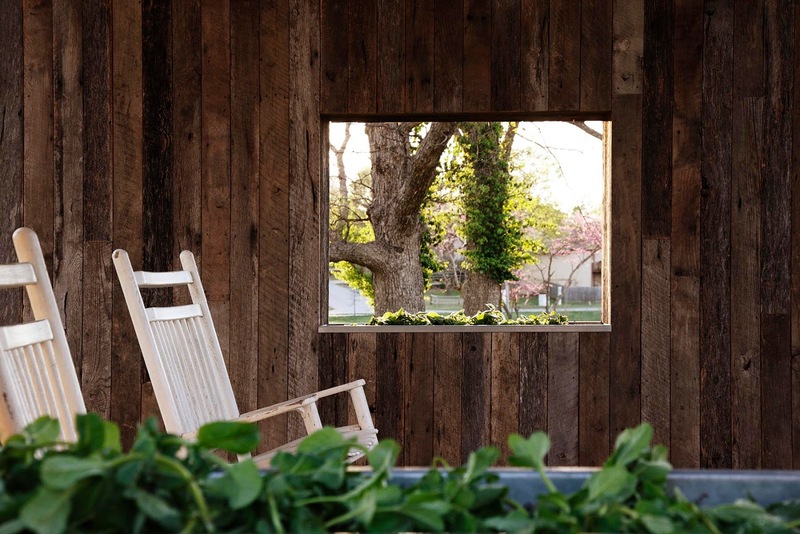 Inside the house are rocking chairs that when sat upon triggers the cloud to rain drops of water onto the roof creating the sound of 'rain on a tin roof,' a poetic experience that echoes our connection to the natural world. Through an elegant design and engineering feat this whimsical and visually uplifting public sculpture engages a sense of disbelief. As the water flows down the tin roof and into an internal water reserve, water is directed to two side windows where it falls into planters below that are growing greens for public consumption. This work is meant to provoke conversations around exploring the local, questions of ecology and dissecting the systems that make up our "everyday" experiences. 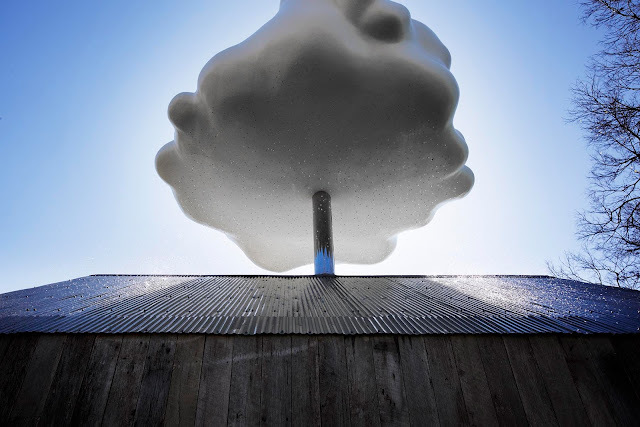 Mazzotta is a graduate of the MIT Visual Studies Masters of Science Program and has won several awards for his project OPEN HOUSE in York, Alabama that he completed in 2013. For the last two years he has also been working with four communities in Nebraska to create public works through ArtPlace America and hosted by the Center for Rural Affairs titled "Byway of Art." It is his feeling that rural and mid-America locales are a hotbed for achieving meaningful public art projects. There will be a public dedication with the artist on site at Farmers Park, Saturday April 23rd to celebrate Earth Day and to acknowledge the first ever permanent interactive public sculpture created in the City of Springfield. The project was funded by Art for All through the Community Foundation of the Ozarks.